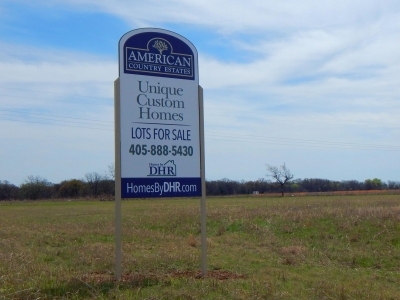 American Country Estates is located in Pottawatomie County near Shawnee, Oklahoma. 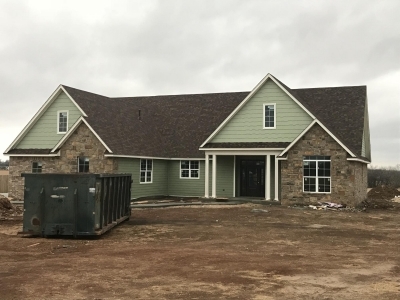 The new homes at American Country Estates feature unique designs, great value, convenient location and superior quality. We have included a whole list of custom luxury features standard in our homes. They are open and airy family homes, set on spacious 3/4 acre homesites. American Country Estates is fortunate to be in the desirable North Rock Creek School District: North Rock Creek Elementary School, North Rock Creek Middle School, and the NEW North Rock Creek High School (Opening 2018). American Country Estates is located in the heart of everything. We are only a few miles from the Shawnee Mall, and the new Shawnee Marketplace. Plus there is a great collection of antique stores and boutiques in the downtown Shawnee area. And Shawnee boasts a great selection of local Mexican, Italian, Chinese, Asian and American eateries. For recreational pursuits, there are parks, trails, golf courses and lakes, as well as theatres, casinos and spas. There is something for everyone in Shawnee! It’s a great time to buy a new home, and we hope you will consider the great values at American Country Estates! Please call us TODAY for more information (405) 888-5430.